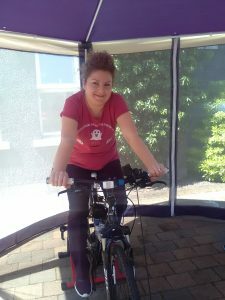 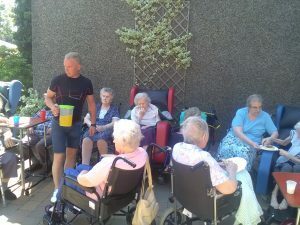 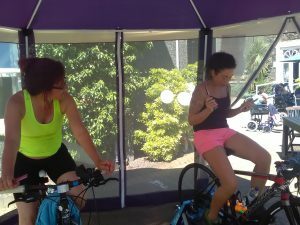 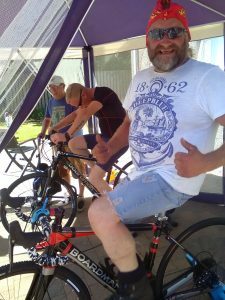 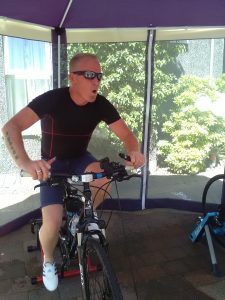 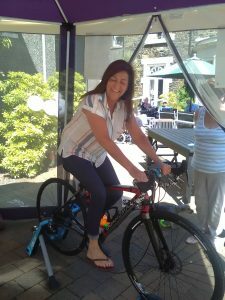 In the scorching heat at Drummaul House recently they had a sponsored cycle to cycle 50 miles on the static bikes provided. 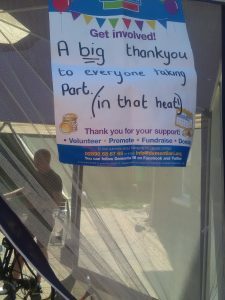 A BIG word of THANKS to everyone who contributed and who donated to The Alzheimer’s Society and to the kitchen staff for making a beautiful barbeque feast. 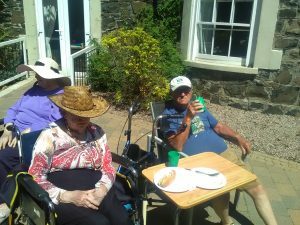 There was plenty of ice pops, freezing cold water, plenty of shade, good music and electric fans to keep us all cool and hydrated.